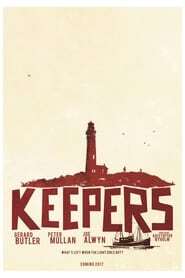 Saban Films, the distribution company, has taken over the rights to the new film by Kristoffer Nyholm, ‘Keepers’, a thriller starring Gerard Butler (‘Target: London’), Peter Mullan (‘Hostiles’) and Connor Swindells.Written by Joe Bone and Celyn Jones and inspired by the mystery of the Scottish islands of Flannan, the film tells the story of three lighthouse keepers who arrive on a remote and uninhabited island to complete their six-week shift. There they discover something incredible that they are unable to understand. Soon the three men will be locked in a tense battle for survival, fueled by isolation and paranoia, as personal greed will replace loyalty. Andy Evans, Ade Shannon and Sean Marley for Mad As Birds Films will produce the project along with Butler and Alan Siegel for G-BASE, Jason Seagraves and Maurice Fadida. For their part, Phil Hunt and Compton Ross will serve as executive producers along with Brian Oliver of Cross Creek Pictures, Danielle Robinson for G-BASE and Mickey Gooch and D.G. Guyer of Kodiak Pictures.